This 9.5-hour video lecture goes over basic knowledge you will encounter on the exam. The videos are viewable on-demand for 180 days. 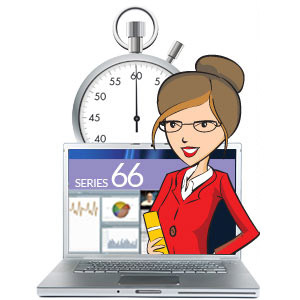 The Series 66 Video Lecture is viewable through our website and can be accessed via computer or mobile device. View a sample of the Video Lecture here.